Q. What should I do after starting Lazy Nezumi and my art software? If you are using a different art application than Photoshop, select the File/Hook Window menu, then place your mouse or pen cursor over the canvas window of your art software. You should then see a flashing red rectangle around the window. If you now enable Lazy Nezumi Pro (via the button or the keyboard shortcut), the currently selected preset will take effect when you draw in that window. You can also do this faster by using the Hook Window keyboard shortcut (which you can change via the Settings/Edit Shortcuts menu). For Photoshop users, Lazy Nezumi Pro installs a special plugin so that you don't have to manually hook any windows. Q. Must I attach to every canvas window I open in my art software? Yes (unless you are using the Lazy Nezumi Pro Photoshop plugin). Automatic window hooking support may be added for other software in the future. Q. Which preset should I use? Smoothing: These will stabilize your lines. Try subtle and massive for fast and slower dynamic lines. For slow detail work, try pulled string. Rulers: These are for technical drawing. They will help you draw perfect straight or curved radial lines, ellipses, and perspective lines! Misc: These are used to show off what you can do with the scripting engine. Open up the Scripting section of the preset details, and browse through the other available modes. Select <custom> if you want to write your own script! Depending on your particular style and what you are working on, you will want to open up the preset details (click on the little > button), and adjust the sliders to your preference. Don't be afraid to experiment! Everyone draws at different speeds, and mice and tablets sometimes have different input rates, so the default settings might not be perfect for you. Q. Is there more documentation somewhere? Please check the Troubleshooting section below if you have an issue. Q. What are the minimum PC hardware requirements? The minimum hardware specs are: 25MB disk space, 1GHz CPU, 1GB RAM. Q. Which software is supported? Please note that some features may not be completely functional in certain apps, depending on how they handle input. It's impossible for us to test all versions of all drawing software out there, so if you find one that isn't working correctly with Lazy Nezumi Pro, please let us know, and we'll do our best to support it! Q. Is Photoshop CC 20XX supported? Yes. Please note that by default in Win8/10, Photoshop CC uses the new Windows Ink API for pen tablets. The latest version of Lazy Nezumi Pro supports this API. 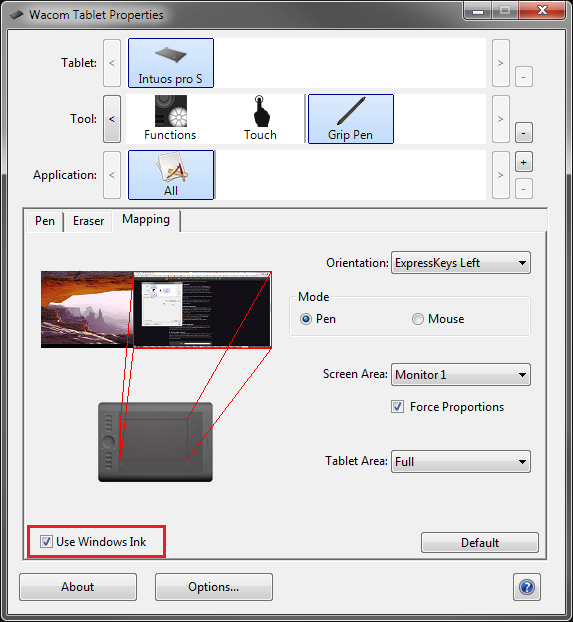 Make sure you enable Use Windows Ink in your tablet control panel. If you like the old Wintab API feel better, you can have Photoshop revert to it. Simply download this PSUserConfig.txt file, and place it in your Photoshop settings folder. This is usually something like C:\Users\[User Name]\AppData\Roaming\Adobe\Adobe Photoshop CC 2017\Adobe Photoshop CC 2017 Settings\. Q. Is Wacom's Mouse Mode supported? Yes. 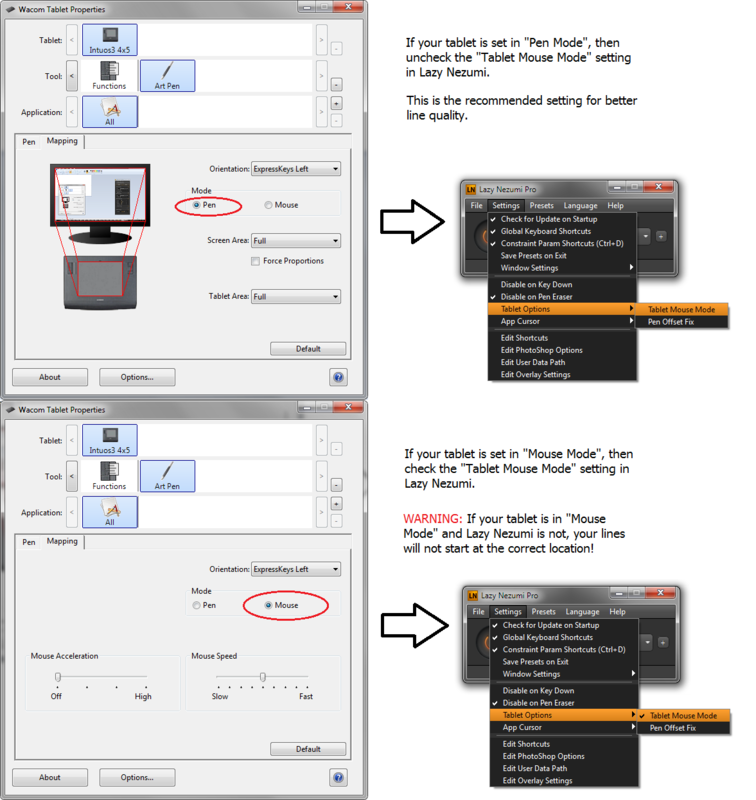 It is recommend that you use Pen Mode for better precision, but if you do want to use Mouse Mode, then enable the "Tablet Mouse Mode" option in the Lazy Nezumi Pro settings, as described in this image. No. Please read this for more information. If you're running into any trouble with Lazy Nezumi Pro, the first thing you should do is check that you're up to date. The latest version is 19.03.29.1913. The Help/About Lazy Nezumi Pro menu of the app will show you which version you are running. Also, be sure to download the installer from here and not anywhere else! Sadly there are other websites distributing fake versions. Not only do they not work, but some are infected with malware. If after reading through the rest of this page, your issue isn't resolved, please contact us. We try to fix bugs quickly, but we need users to actually report them! Q. 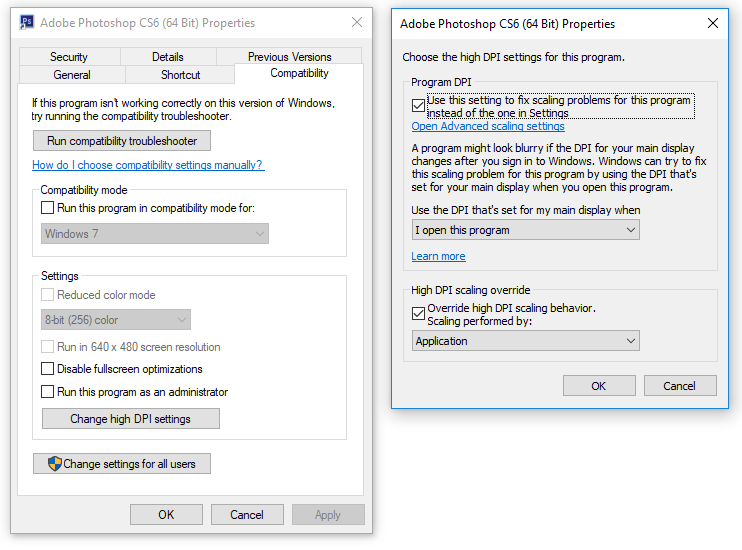 How do I know if the PhotoShop plugin is installed correctly? After installing Lazy Nezumi Pro, start PhotoShop. If the Lazy Nezumi Pro window appears, then the plugin is installed correctly. If it doesn't, then please read about the plugin installation issue in section 4.2 of the documentation. You should also see the the bottom status bar of the Lazy Nezumi Pro window update when you change tools in Photoshop. If you install a new version of PhotoShop, be sure to run the Lazy Nezumi Pro installer again afterwards, so that the plugin can be installed for the new version. 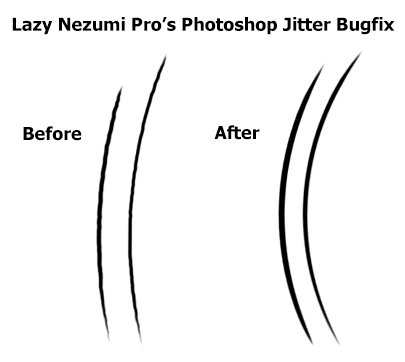 Important: Do not install Lazy Nezumi Pro to your PhotoShop folder, as this will cause problems. Instead, install it to its own folder (for example, in Program Files\Lazy Nezumi Pro). The plugin itself will be placed in the right plugin folder by the installer. Q. Why do I get an error when I try "Hook Window"? If you receive a code -2, error 2 message, this is usually a sign that your anti-virus has blocked Lazy Nezumi Pro from hooking your application, and has deleted LNP's plugin injector program (inject.exe or inject64.exe). If this happens, you will need to reinstall Lazy Nezumi Pro, and add its files to your anti-virus white-list. We recommend avoiding Bitdefender especially, as it has an extremely bad false-positive rate. If you are launching your art application via Steam, this may block Lazy Nezumi Pro from initializing correctly, so make sure you launch it via its exe file directly instead. Q. Lazy Nezumi hooks to my art software but doesn't process my input when I draw. What should I do? If you've just upgraded your Photoshop version, try changing the tool a couple times, and make sure it's not bypassed in LNP's Photoshop Options settings. Otherwise, please check Section 5 in the documentation to see if your issue is described. If not, contact us and we'll try to add support for your software. Q. When I draw using my pen with Lazy Nezumi enabled, why are my strokes offset from where I'm actually drawing them? If one of your monitors has a high DPI setting, your application's window might be getting scaled, which can cause offset problems. You can prevent this by right clicking your application's executable file, selecting properties, and checking the Disable display scaling on high DPI settings option in the compatibility tab. 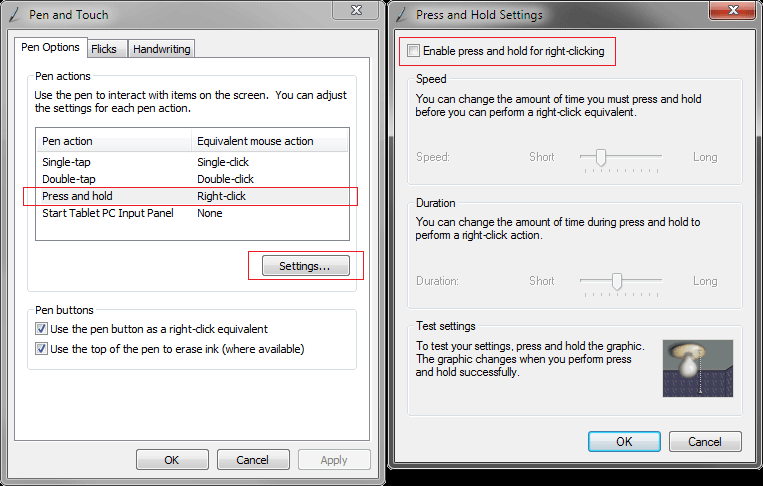 You can also try enabling either Pen Offset Fix or Tablet Mouse Mode in the Lazy Nezumi Pro Tablet Option settings. You can also try clearing your Wacom settings by using their Preference File Utility, or reinstalling their latest driver. Important: unplug your tablet before you uninstall, reboot, and install the new driver. Also important, do not let Windows Update install one of their generic drivers! Q. Why do I sometimes get missing lines? Depending on your hardware and software, this can sometimes happen. Please contact us if it happens a lot. One thing that can help (especially for Surface Pro/Book users): go to your control panel's Pen and Touch settings, and disable the Press and hold - right click option. You should also disable flicks. Another thing that can interfere is the Windows ripple feedback effect. You can disable this by going to the task manager and ending the wisptis.exe process. To permanently disable it, you can use these registry settings. Q. Why are my lines cut short on my Surface Pro/Book? For some inexplicable reason, Microsoft is not pre-installing Wintab drivers on Surface Pro/Book machines. This causes all sorts of problems with older apps, including no pressure, cut lines, or no lines at all when using the pen. To fix most of these issues, simply install the Wintab drivers. The Surface Book drivers can be found here, and the Surface Pro drivers can be found here. You can also install the Surface Pro Wintab drivers on the Samsung Galaxy Book to resolve the same issues. Q. When using the PhotoShop plugin, why doesn't Lazy Nezumi always detect the tool I am currently using? PhotoShop does not tell the plugin which tool is active at startup, but only when you change the tool. Some earlier versions of PhotoShop also do not send certain tool changes to the plugin. Q. Why am I getting an error in Photoshop after uninstalling Lazy Nezumi Pro? This can happen if you uninstalled while Photoshop was still running. You can fix this by reinstalling Lazy Nezumi Pro, and then uninstalling it again, but this time making sure Photoshop is closed first. If that doesn't work, you can simply manually remove the MouseHookPro.8li and MouseHookPro64.8li files from your Photoshop plugins folder. Q. Why am I getting a Plugin Mismatch Error? You probably have an old version of the Photoshop plugin installed somewhere. Delete all MouseHookPro*.8li files from your plugin folders, then reinstall Lazy Nezumi Pro. Q. Why am I getting lag? On some machines, the transparent overlay window where Lazy Nezumi Pro draws its guide lines can cause some lag, especially when other applications are doing screen capture in the background. If you are experiencing this, try enabling the Direct2D option via the Settings/Edit Overlay Settings menu. This should help in most situations, but with some video cards you'll want to keep it off. If that doesn't help, you can also just turn off the overlay completely. Q. Why has my cursor disappeared? It's possible that you pressed the old default keyboard shortcut to toggle cursor visibility by accident. You can configure cursor visibility via the Settings/App Cursor/Show menu. You should also configure your shortcuts via the Settings/Edit Shortcuts menu and make sure that you unset any App Cursor shortcuts you don't want. Q. Why am I not seeing the string guide line or cursor? Make sure overlays are enabled via Settings/Edit Overlay Settings. The Line and/or Cursor boxes should also be checked in your preset's Position Smoothing section. Q. Why aren't my lines sticking to the rulers? When using the rulers, be sure to disable any stabilizer or line smoothing feature in your art program, as it can interfere. Also make sure you have the Accuracy parameter set to 1. Q. Where did the center of my ruler go? When using the ruler presets that have movable center markers (Ellipse, Radial Lines, Perspective), it is possible for the center to sometimes go off-screen. To get it back, you can use the Move Center keyboard shortcut (configurable via the Ruler Shortcuts tab of Settings/Edit Shortcuts), or the Set or Reset Ruler Center Pos shortcuts (in the General Shortcuts tab of Settings/Edit Shortcuts). Q. How do I restore the stock presets to their default settings? During installation of Lazy Nezumi Pro, the stock presets are installed to the installation folder (usually C:\Program Files (x86)\Lazy Nezumi Pro\presets). On the first run of the program, they are also copied to your user data folder (you can open this folder via the Presets/Open Presets Folder menu). The presets are then always loaded from and saved to your user data folder. Please note that the installer will not overwrite the presets in your user data folder. So if you want to restore the stock presets to their default settings, simply copy the preset xml files from your installation folder to your user data folder, restart Lazy Nezumi Pro, or use the Presets/Rescan Preset Folder menu to reload them. Q. Is there a way to temporarily disable Lazy Nezumi while I am pressing a key in my art software? Yes. Turn on the "Disable on Key Down" option in the settings. If you are using the Photoshop plugin, the space and control keys auto-bypass LNP for convenience. Q. Why does Photoshop sometimes freeze after drawing a line? This can happen if you're using Photoshop CC on Win8/10. If you lift your pen out of tablet proximity before Lazy Nezumi Pro has finished your line, Photoshop will then get stuck waiting for more tablet input. To unfreeze, simply move your pen back to the tablet and let it finish the line. To prevent this from happening, either don't pull your pen away from the tablet so quickly at the end, or decrease the position smoothing amount so that the line finishes faster. You can also have Photoshop switch back to using Wintab, where this problem doesn't happen. To do so, please see this question. Update: this issue has been fixed in version 16.06.30! Q. Why do I sometimes get wobbly/jittery/aliased lines in Photoshop? This is an old Photoshop bug. When it happens, you can usually fix it by alt-tabbing to another window, then alt-tabbing back to Photoshop. Starting with update 16.06.03, Lazy Nezumi Pro has an experimental fix for Photoshop versions starting with CS5: try the Fix Jitter Bug checkbox in Settings/Edit Photoshop Options (requires restarting Photoshop and LN). Please note that this can interfere if you are using a Wacom mouse. Q. Why does my pen move the canvas instead of drawing? This is not an issue caused by Lazy Nezumi Pro, but a problem introduced by a Win10 update that changed the Windows Ink API behavior. To fix it, either make your application use Wintab (see this for Photoshop), or download and run this registry fix.